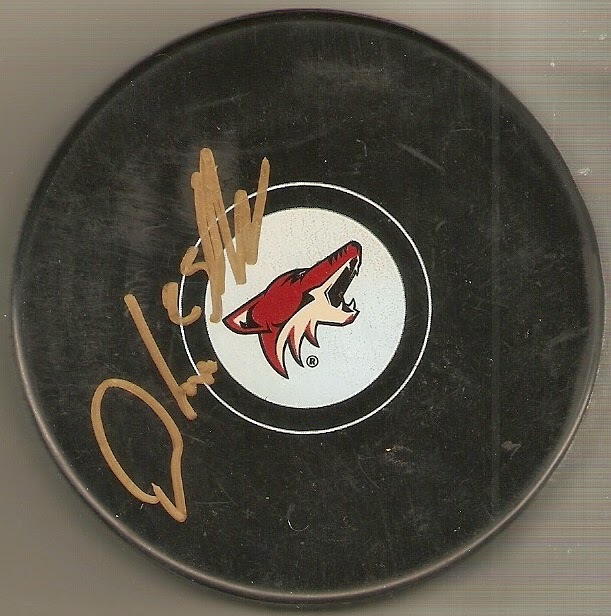 My family and I made a trip to Chandler, AZ for a week-long vacation, and being the sports fan that I am, I wanted to be sure to hit up some hockey and baseball games. 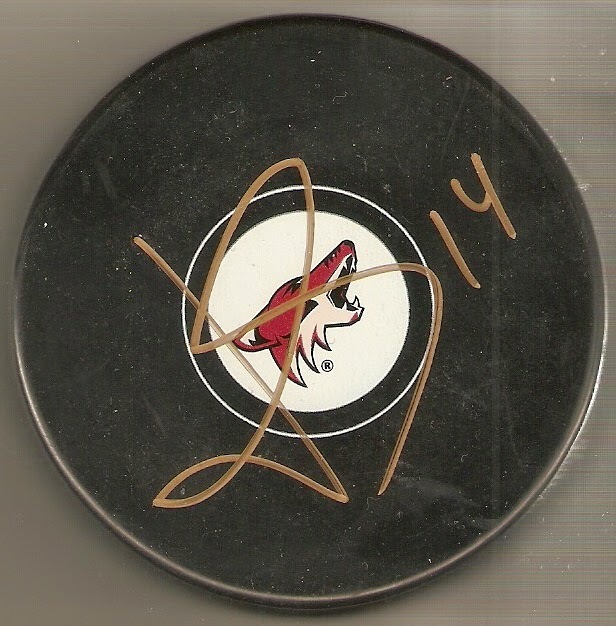 I ended up attending two Arizona Coyotes games and one Chicago Cubs Spring Training game, which made for a fun week. 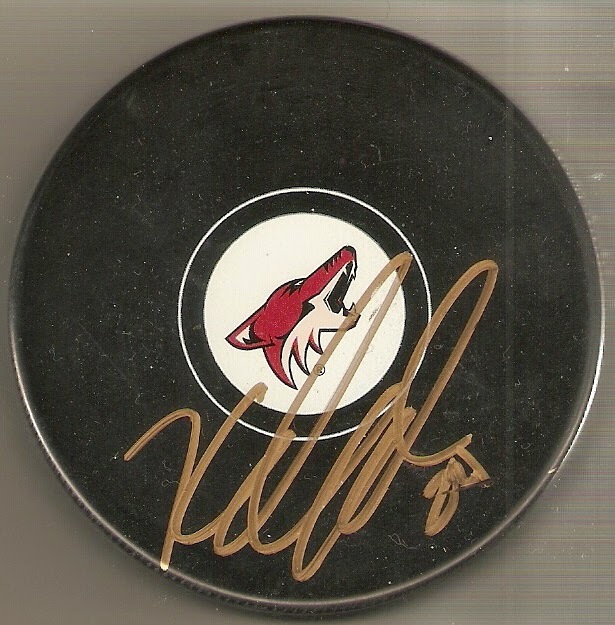 Now, being not only a sports fan, but an autograph collector, I wanted to really look into any potential autograph opportunities, whether they be in-person, private signings, or even before or after games. 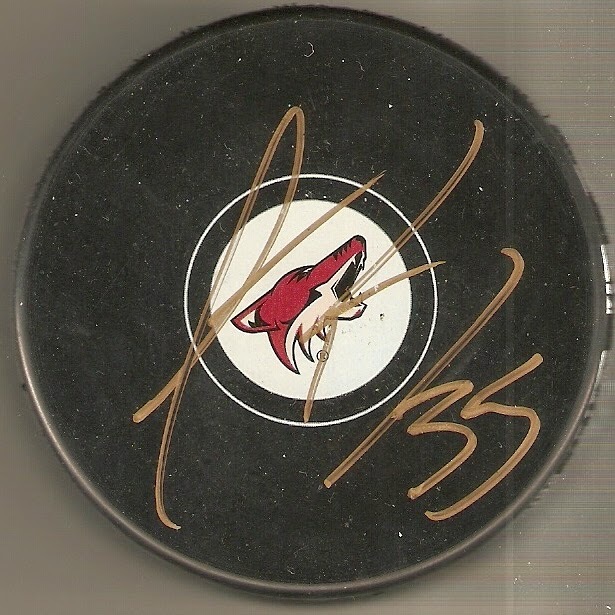 Through the message board on www.sportscollectors.net, I was able to get in touch with two fellow collectors who gave me some really good tips on getting signatures from Arizona Coyotes players. Both told me where the team always did their game day morning skate, as well as where and when the players would arrive at the facility. 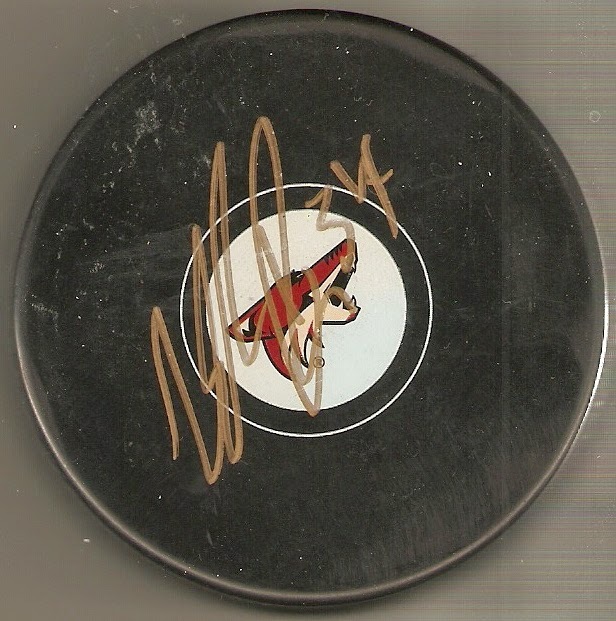 Now, the Coyotes are not my local team, so my ability to recognize the players is limited, especially seeing them in regular street clothes. 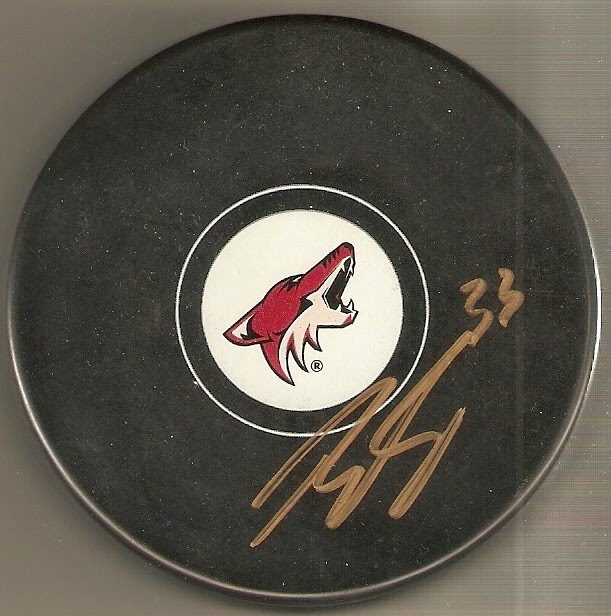 I brought a few cards with me, but my main plan was simply to bring a bunch of Coyotes autograph-style pucks, and get those signed, which would allow me to not be so worried about picking out player-specific items. 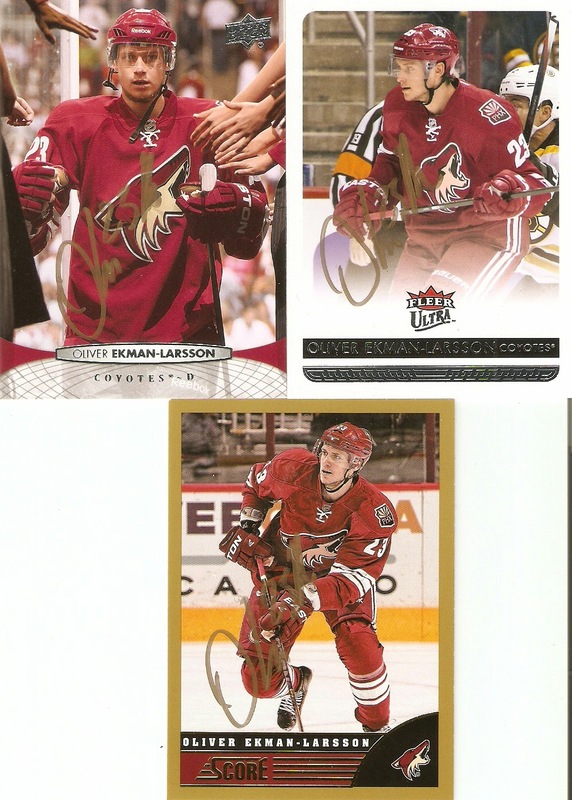 Still, I brought some cards with me, just in case I was able to recognize a player quickly enough. 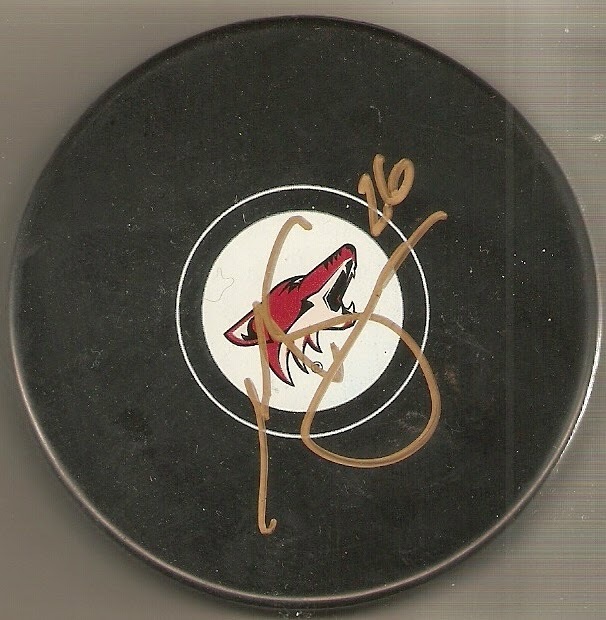 It turned out to be an incredibly successful outing, as I ended up with 11 pucks and 3 cards. 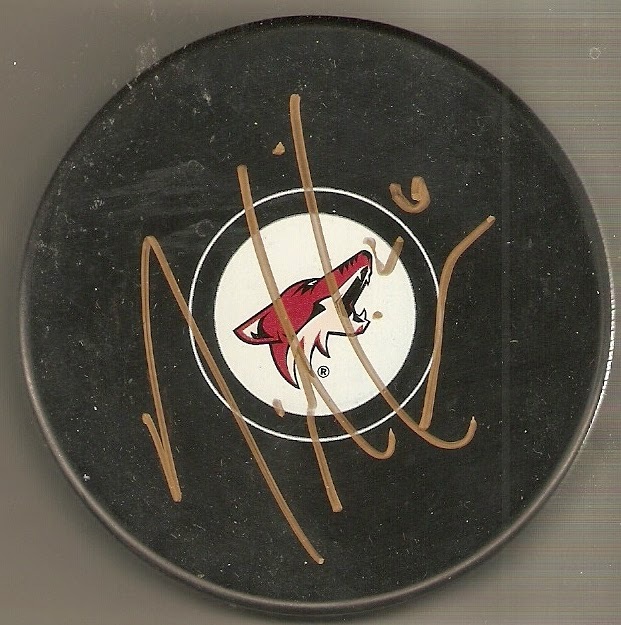 Every single player that I approached on their way in was willing to sign, too. None of them were particularly conversational, but then again, it was about 9:00 a.m., and they're essentially on their way to work. Still, I didn't get one single rude response, and no refusals. 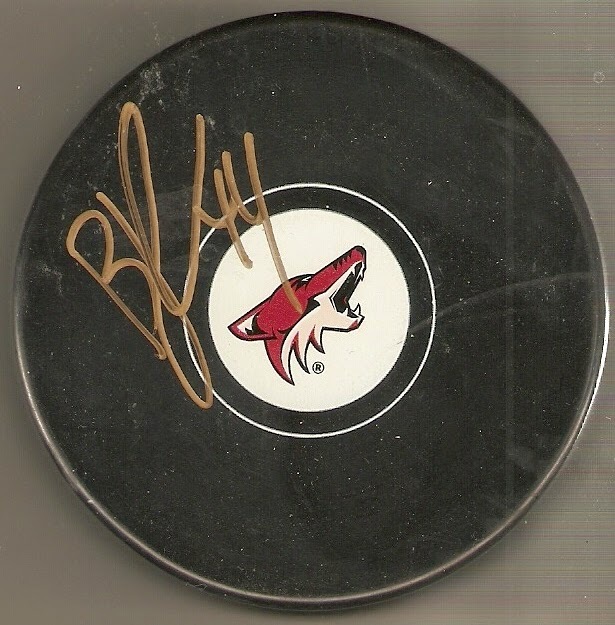 I was told by both guys that I exchanged messages with on sportscollectors.net that the team overall was great to get autographs from, and they certainly were all of that. You got a former Penguin too by getting Vitale! I know! I was very excited to get him! Also, if you count Arcobello's 10 games in Pittsburgh this year, that makes two former Pens. Hi. 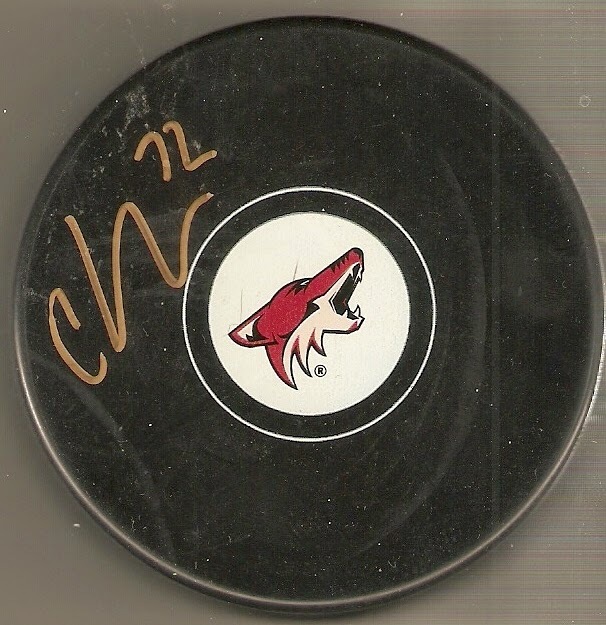 My family and I are travelling to phoenix in mid february and will be taking in a couple coyotes games. 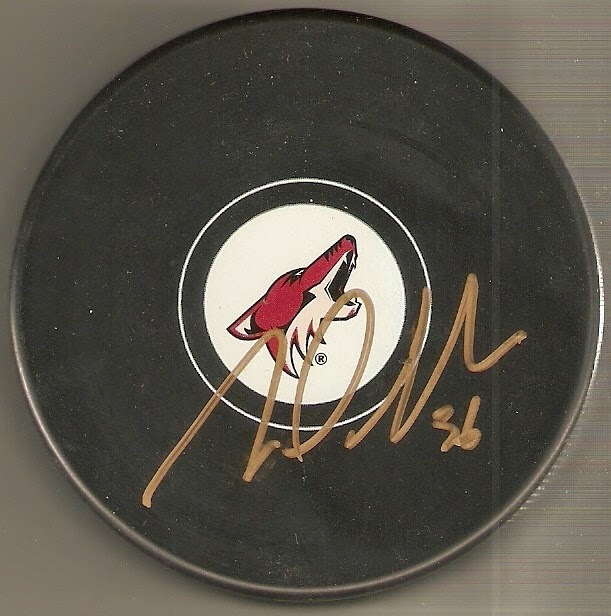 My son is a big coyotes fan (as i have steered him away from the leafs) and I thought it would be awesome to try and get him some autographs from a player or 2. I would really appreciate any advice you could share on when and where to meet some of the players prior to morning skates. My email is kabing13@hotmail.com.